RoNeX is an industrial strength fieldbus for robots, that allows you to connect laptops, workstations or server farms directly to your hardware, in real time. To find out more, head over to the RoNeX Homepage. This wiki contains RoNeX documentation. Please click on one of the links below to get started. If you can’t find the information you are looking for, please let us know! RoNeX user support, feedback and discussions in our Google Groups based forum RoNeX Sig. This section explains how to get started with a RoNeX system, including setting up your computer, launching the drivers and a run through overall layout of the system. This information is universal, regardless of which functional modules you are using. This section will tell you everything you need to know to get started with a GIO module, including the interfaces provided and various ways to interact with the module through said interfaces. This section will tell you everything you need to know to get started with an SPI module, including the interfaces provided and various ways to interact with the module through said interfaces. This section explains how to use RoNeX in non standard ways, such as through a virtual machine, on an ARM device or through MATLAB. 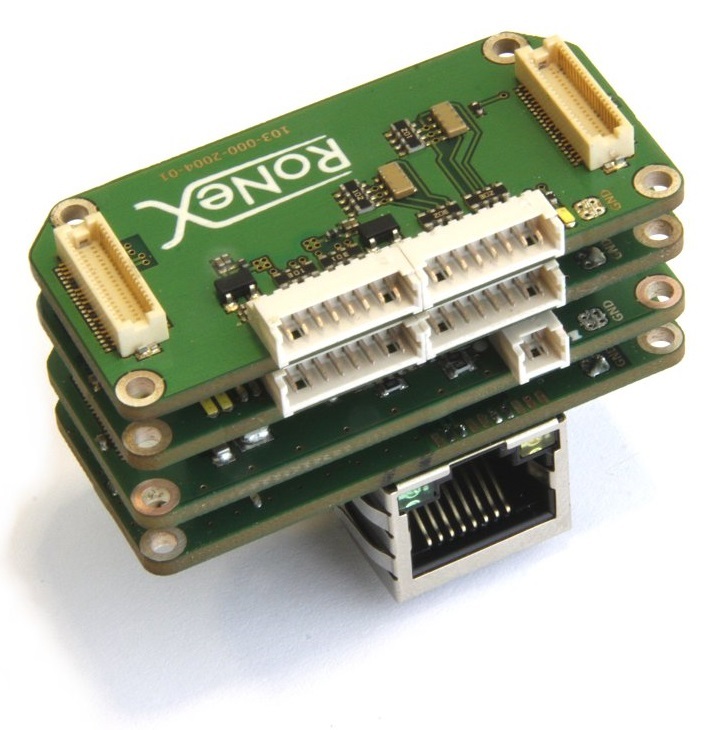 If you don’t already have RoNeX hardware, you can head over to our Online Shop to buy it now! Although there are plans to make RoNeX etherCAT conformant, it is not yet the case. This means that RoNeX doesn’t work with programs like TwinCAT. © Copyright 2015, Shadow Robot Software Team. Revision d79802b0.